If you’re suffering from joint pain at the knee, shoulder, or elsewhere in the body, platelet-rich plasma (PRP) therapy may offer relief. PRP therapy is another revolutionary treatment for common degenerative orthopedic conditions such as arthritis. If you have chronic arthritis, osteoarthritis, or even rheumatoid arthritis, there is no need to live with joint pain a moment longer. Before exploring your surgical options, take a look at the possibilities available to you with PRP therapy. It involves drawing a patient’s own blood, processing it in a centrifuge to separate platelets (which contain a multitude of growth factors and proteins essential for healing), then injecting the resulting platelet-rich concentration into an injured area of the body. The growth factors then get to work, accelerating the body’s natural healing process – essentially “boosting” healing in the area. Because PRP therapy works by stimulating the regeneration of healthy tissue, it may take a few weeks before you experience symptomatic relief. Arthritis sufferers typically experience joint pain because the cartilage cushioning the area between bones has worn away over time, leading to bone-on-bone friction, inflammation in the area, and pain with movement. PRP therapy can help regrow cartilage in the area, helping to reduce pain and restore mobility. In fact, patients have experienced remarkable success using PRP to help heal injured cartilage, tendons, ligaments, muscles, and bone. PRP therapy has been used since the 1980s but its use has really skyrocketed in recent years. Doctors and patients alike are singing the praises of regenerative medicine, including PRP and stem cell therapies. Like stem cell therapy, it harnesses the body’s own healing powers and supercharges them. But unlike stem cell therapy, it’s a faster, less complicated process because it simply requires drawing a patient’s blood, rather than accessing stem cells located in fat tissue or bone marrow. 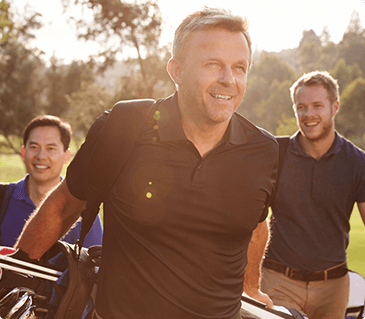 In addition to effectively treating certain orthopedic injuries, PRP therapy can be performed as an outpatient procedure, and is a quick and relatively painless procedure. The sooner you utilize PRP therapy, the greater the likelihood of success. In other words, PRP is considered a more conservative option before resorting to surgery. In some cases, the PRP treatment may need to be repeated to achieve the desired effect. Check with your insurance provider to find out if PRP therapy for your orthopedic condition is covered. Some plans may pay for out-of-network PRP treatments. Call (802) 278-5098 for joint pain issues. National Stem Cell Centers has locations in New York City, Great Neck NY, Southampton NY, New Jersey, Dallas and Houston in Texas, and Atlanta, Georgia.